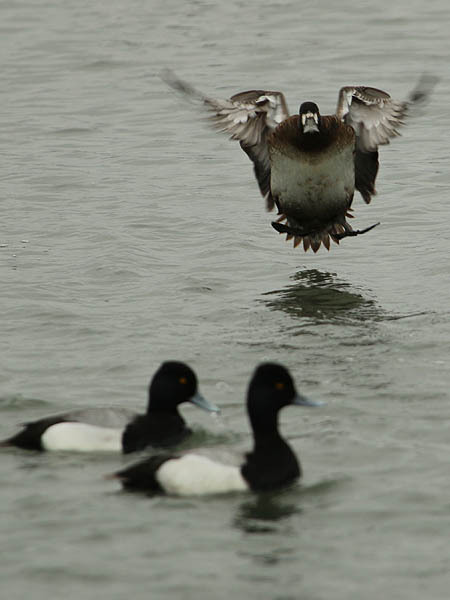 Lesser Scaups are attractive little ducks that can be found in the Dallas/Fort Worth area in the winter. Most, if not all, have left for more northern climes by this time of the year. 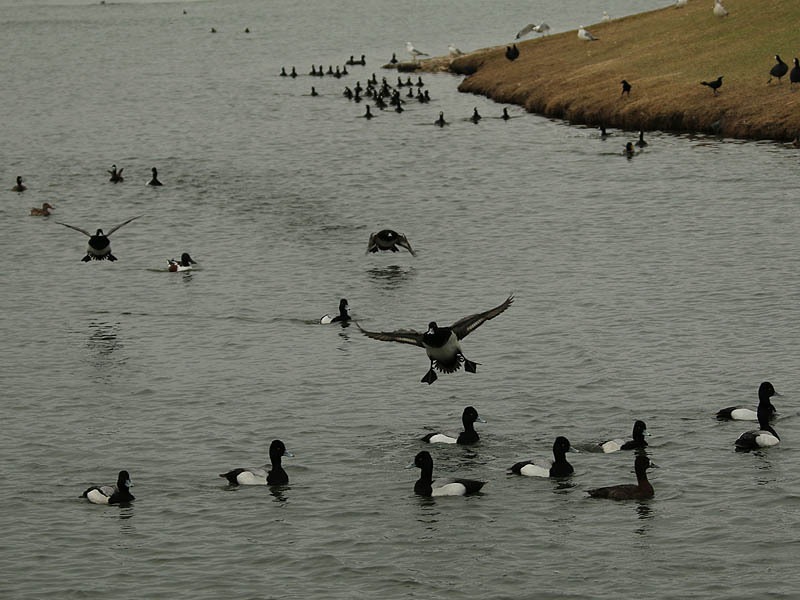 I photographed this large congregation of scaups on an overcast afternoon in late March. It is of interest for a couple of reasons. 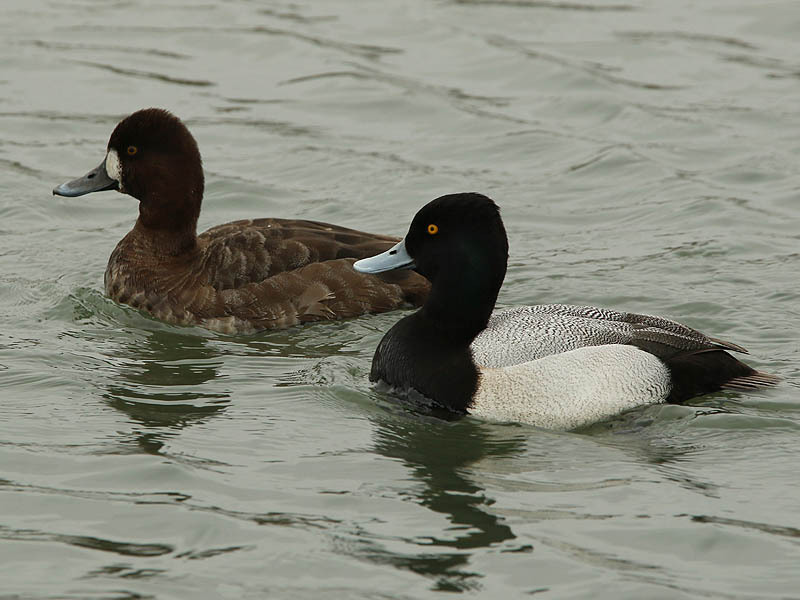 The first is that this group contained examples of both male and female Lesser Scaups in their breeding plumage. 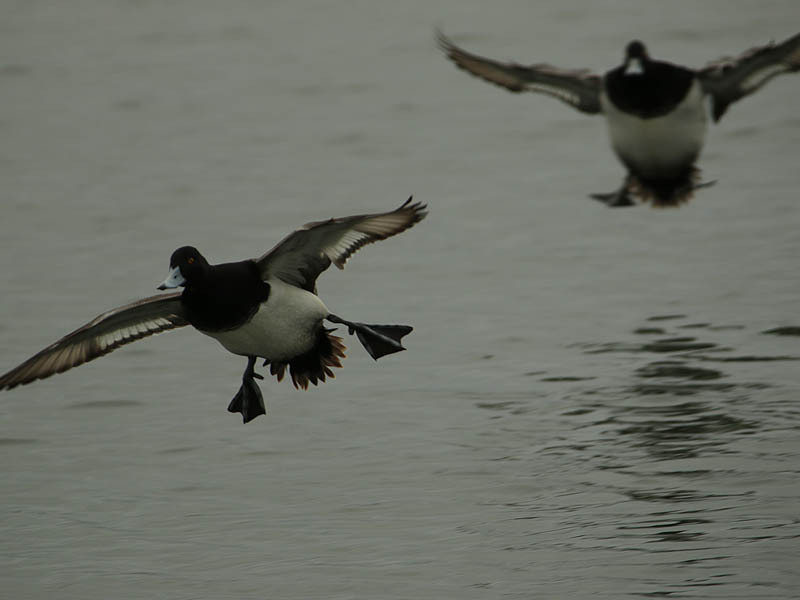 The males have a blue bill and sport feathers of black and white, while the females are dressed in a chestnut brown. 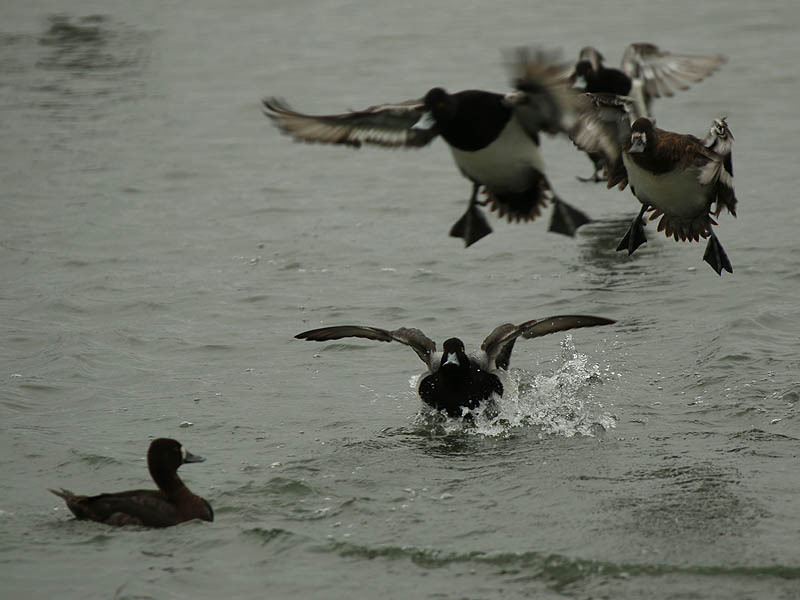 Also of note were the numerous opportunity I had to photograph these ducks on their landing approach. These scaups have learned well over the winter that people visiting the edge of the pond often means that a fine meal of soggy loaf bread will soon be served up. 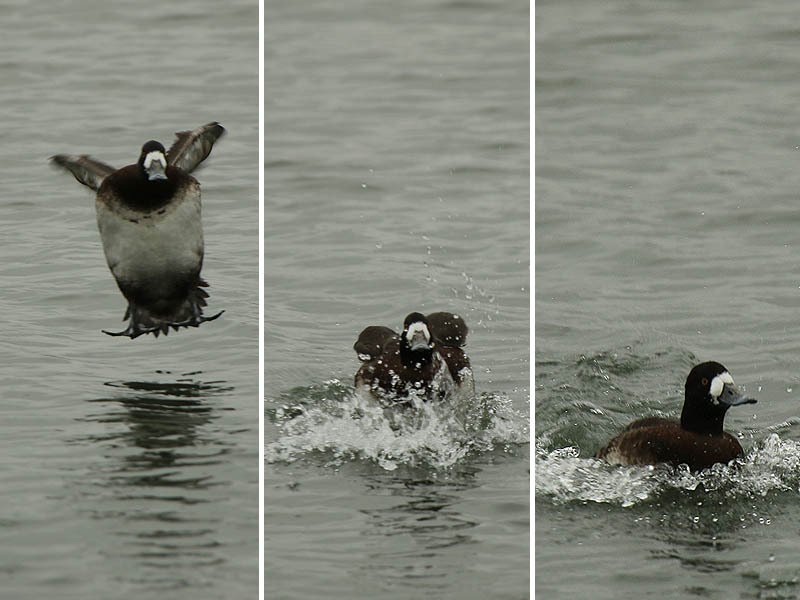 The hungry scaups did not want to miss an opportunity, so dozens of them flew in from the far side of the pond just after we arrives at the water’s edge. 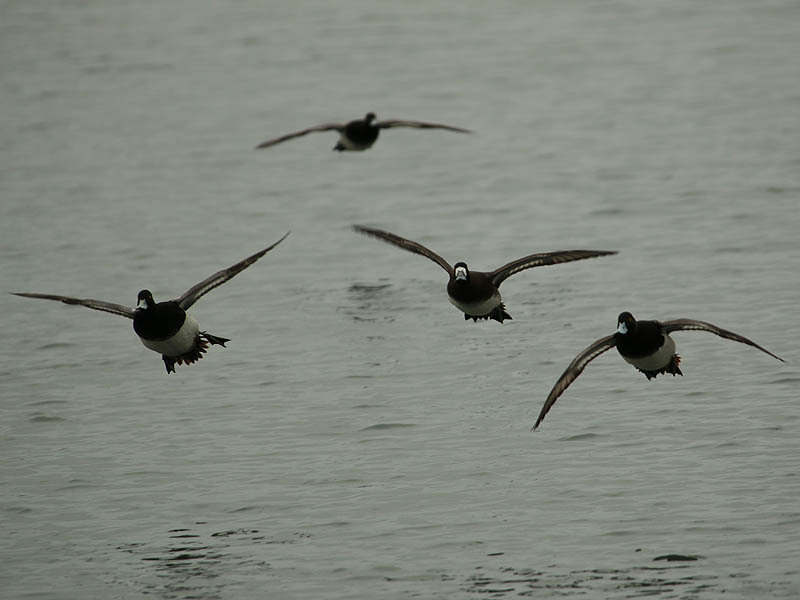 Their breeding habitat is inland lakes and marsh ponds in tundra from Alaska through western Canada to western Montana; few breed east of James Bay and the Great Lakes. Notable breeding concentrations, with more than half a million birds at the height of the season, can be found in Alaska, in the woodlands of the McKenzie River valley and on the Old Crow Flats. These birds migrate south (mostly via the Central and Mississippi Flyways) when the young are fledged and return in early spring, usually arriving on the breeding ground in May. 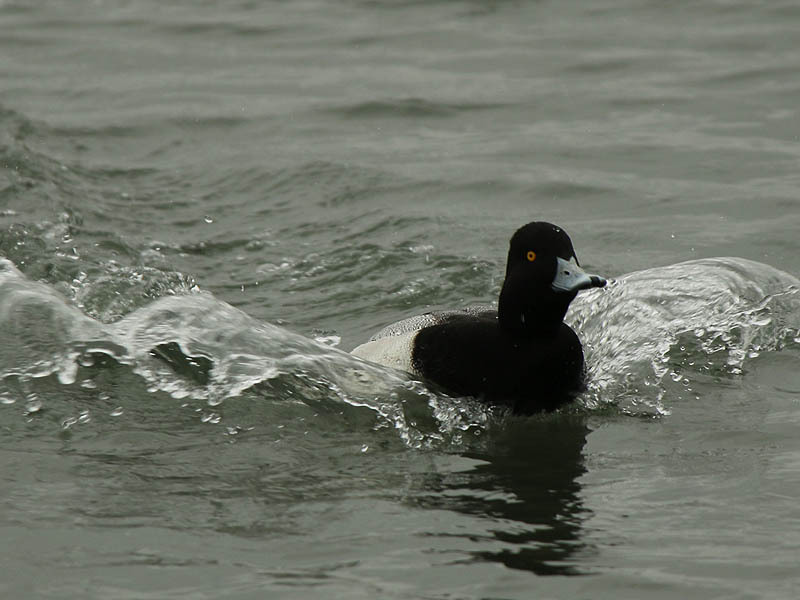 Lesser Scaup typically travel in flocks of 25–50 birds and winter mainly on lakes, rivers and sheltered coastal lagoons and bays between the US–Canadian border and northern Colombia, including Central America, the West Indies and Bermuda. 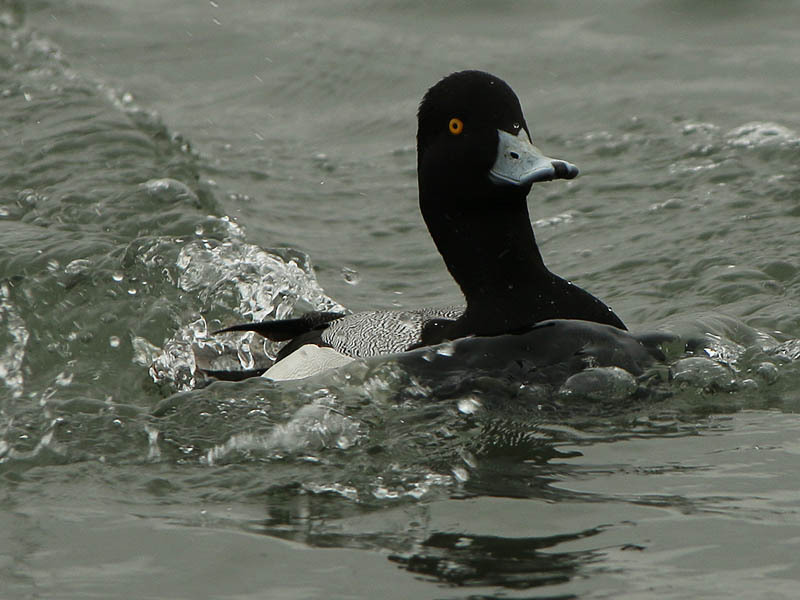 Wintering Lesser Scaup are typically found in freshwater or slightly brackish habitat and unlike Greater Scaup rarely are seen offshore when unfrozen freshwater habitat is available. 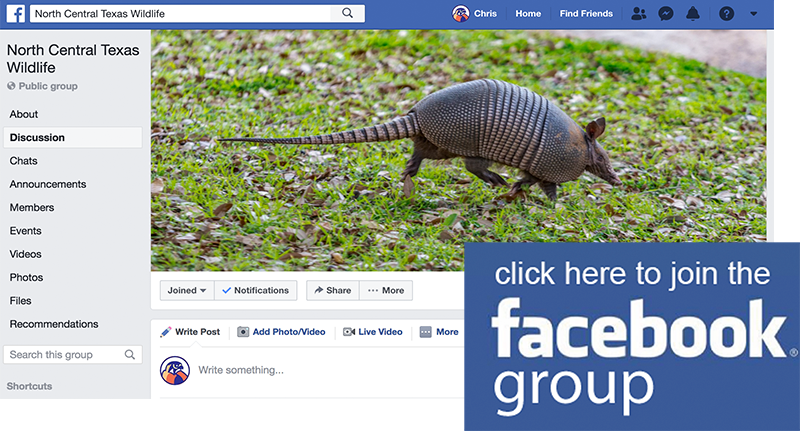 They may even spend the winter on lakes in parks, as long as they are not harassed, and will occur even on smallish Caribbean islands such as Grand Cayman. 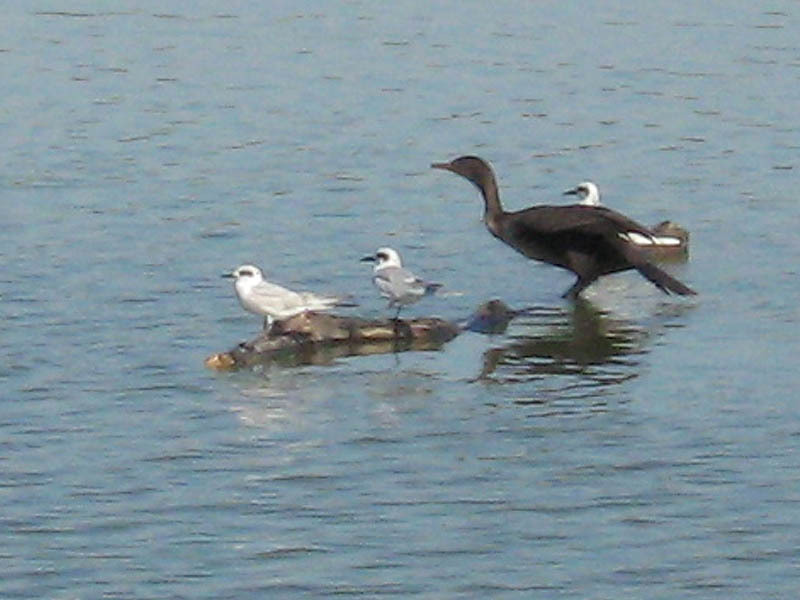 Thousands winter each year on the Topolobampo lagoons in Mexico, and even in the southernmost major wintering location – Ciénaga Grande de Santa Marta in Colombia – hundreds of birds can be seen. 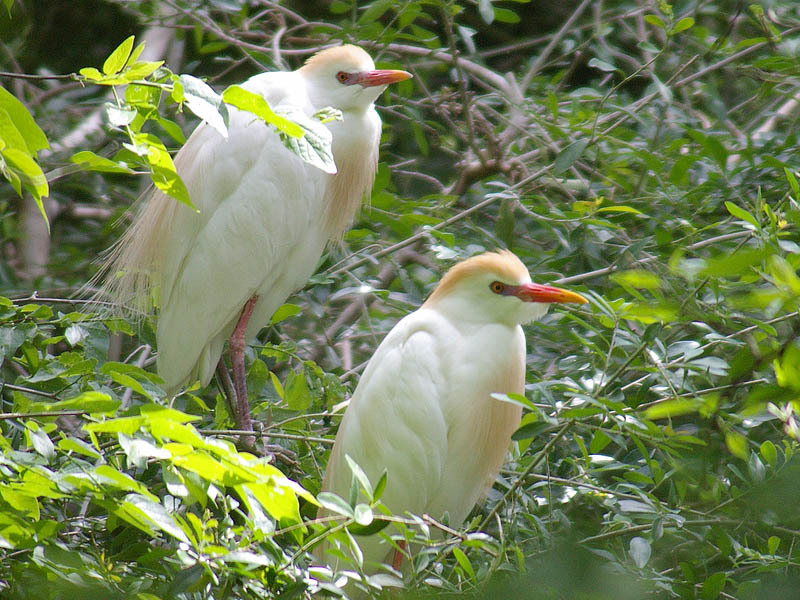 In Central America, flocks are present from July on, but only really numerous after September. They move north again in April and May. 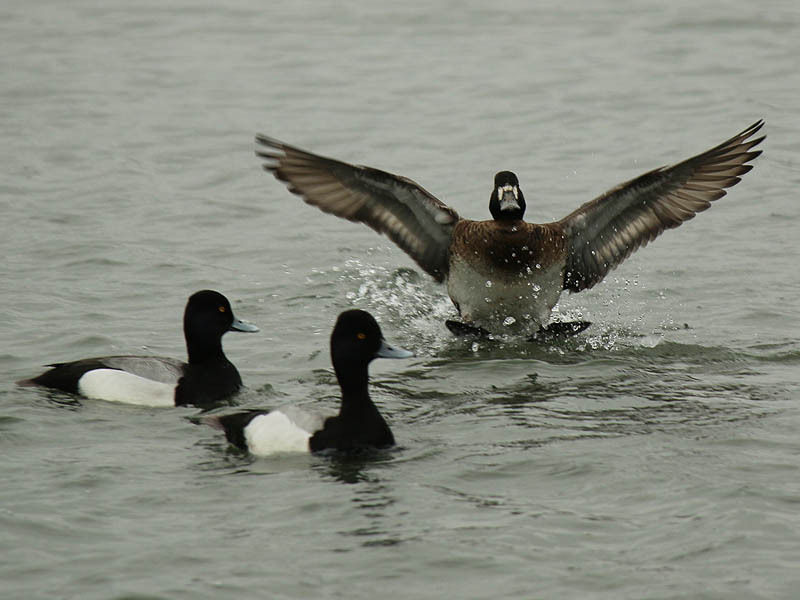 In the extreme southeast and southwest of the breeding range – the Rocky Mountains region of the northwestern USA and the southern Great Lakes – Lesser Scaup are present all-year; it is not clear whether the breeding birds are replaced by migrants from the far north in winter, or whether the local populations do not migrate, or whether both local and migrant birds are found there in winter.